1. METIRIA TUREI (Co-Leader—Green) to the Minister for Building and Housing: Has the Minister received advice on how many children’s lives would be saved and how many child hospital admissions would be prevented by a rental housing warrant of fitness; if yes, what are those figures? Hon Dr NICK SMITH (Minister for Building and Housing): My advice is that the Government’s proposal to require rental properties to be insulated would save 18 deaths per year and the mandatory requirement for smoke alarms 3 deaths per year. The analysis also shows savings of $12 million per year in hospital admissions. The estimates are not exclusively for children. It is not possible to give a single answer to the proposition of a warrant of fitness, because it depends on what the specific requirements of that warrant of fitness would be. My advice is that the greatest benefits are from insulation and smoke alarms, and that is why those requirements are to become law. We do not support requirements like those in the member’s warrant of fitness bill that would prohibit renting a house unless it had glass visibility strips on windows, because we think it is over the top. Metiria Turei: So can the Minister confirm that he does not have any advice on the cost of children’s deaths and hospitalisations versus the cost of a rental warrant of fitness for housing? Hon Dr NICK SMITH: The analysis that the Government has done, in my ministry, includes not just the deaths of children but also the deaths of all New Zealanders. For instance, I am advised that, in fact, the greatest benefit—in terms of saving lives—from our requirement that all rental properties be insulated is actually from older New Zealanders and influenza-type diseases, and I think it is proper that we count the lives of all those who are saved, as well as children. Metiria Turei: Does the Minister agree that even one child dying from a cold, damp, mouldy house is one child too many? Hon Dr NICK SMITH: Yes, and that is why this Government is going to require that those 180,000 rental properties that are not currently insulated, but can be, shall be by 1 July 2019. That is why the existing housing regulations require that homes be free from dampness and mould, and that is why our bill before Parliament will require my ministry to actually be able to enforce those regulations better. What we do not want is a bureaucratic warrant of fitness that will add $100 million of costs in administration, which will be passed on to the very tenants that we are trying to help. Metiria Turei: Does the Minister dispute the statement in Children’s Commissioner Russell Wills’ submission on the Residential Tenancies Amendment Bill that insulation and proper heating, which would be included in a rentals warrant of fitness, would save low-income families $800 a year in health costs alone? Mr SPEAKER: Order! [Interruption] Order! Would both members resume their seats. Can I ask the member to repeat the question for the benefit of the Minister. Metiria Turei: Does the Minister dispute the statement in Children’s Commissioner Russell Wills’ submission that insulation and proper heating, which would be included in a rentals warrant of fitness, would save low-income families $800 a year in health costs alone? Hon Dr NICK SMITH: Yes, I do dispute that, because the flaw in the Children’s Commissioner’s analysis is that if we imposed a requirement on every single landlord in New Zealand to provide, for instance, a new heat pump in every one of those properties, that cost would be passed on in the rents. What you do need to include is the regulatory costs that are passed on to families and not simply pretend that somehow when we impose regulatory requirements, it is a free good. Joanne Hayes: How many people have been killed in house fires in recent years, and what advice has he had about the presence of smoke alarms in these tragedies? Hon Dr NICK SMITH: There have been an estimated 47 deaths from house fires in rental properties over the past 6 years. Half of those had no smoke alarms, and so the Government’s requirement for those to be installed by 1 July this year will save many lives. To ensure that we get the maximum safety dividend from this new requirement, we are also requiring that the new smoke alarms be the long-life ones, because there has been tragic loss of life where smoke alarms have been present but the batteries have either been taken out or not been replaced, and there is an extra safety dividend by requiring those long-life smoke alarms. Metiria Turei: Why does the Minister consider that his bill will be enough, when even once it has passed, rental homes will still be cold, damp, and mouldy because they will not be properly heated and they will not be properly ventilated? Hon Dr NICK SMITH: The part that the member seems to overlook on an issue like ventilation is that it is actually about the tenant using the property wisely, as well as the property being provided with ventilation. So what we have provided for, quite sensibly, as part of the package of the bill that requires home insulation and requires smoke alarms, and that also enforces the existing law around those standards, is a good-quality information campaign both to remind landlords of their current responsibilities around quality and also to remind tenants about the things they can do to contribute to homes being warmer, dryer, and safer. Joanne Hayes: How much money has this Government invested in retrofitted home insulation, and how does that compare with the previous Government? Hon Dr NICK SMITH: This Government has spent $45 million on insulating every State home that could be insulated, and a further $450 million on the Warm Up New Zealand: Heat Smart programme of subsidies, coming to a total of $495 million. I am advised that over the 9 years of the previous Government, it spent $31 million. That is, this Government has spent 16 times as much money on making our homes warmer, drier, and safer. Mr SPEAKER: Order! The question is quite long enough. Hon Dr NICK SMITH: I would say to that member and to that submitter that the current housing regulations require homes to have adequate ventilation and for those homes to be free of dampness. One of the important provisions in that very bill before the select committee is to give us greater capacity to enforce the existing regulations rather than creating an expensive bureaucratic warrant of fitness, as the member proposes. Metiria Turei: Is not the Minister’s refusal to implement a proper rental housing warrant of fitness, in light of all the advice he has received that it is necessary for child health and well-being, the worst kind of Government penny-pinching and the kind that will cost New Zealand children their lives? Hon Dr NICK SMITH: No, quite the opposite. What the cost-benefit analysis has said is that home insulation makes good sense, and we are doing it. It says that smoke alarms make good sense, and we are doing it. But what we are not going to do is silly, petty provisions like that member’s bill, which has inspectors going around to see whether we have got glass visibility strips on every one of our windows and fining New Zealand homeowners for provisions that I bet the majority of members of this House do not even have in their own homes. 2. ANDREW LITTLE (Leader of the Opposition) to the Prime Minister: Does he have confidence in his Minister for Tertiary Education, Skills and Employment, given the Student Loan Scheme Annual Report 2015 forecasts student loan debt will hit $15.458 billion this year? Rt Hon JOHN KEY (Prime Minister): Yes; not only do I have confidence in Mr Joyce but I am actually immensely proud of him because he is the Minister under whom we have seen the student loan balance growing at the slowest rate in more than a decade. What a remarkable achievement that has been, under his leadership. Andrew Little: Does he even accept that forcing young people into $15 billion worth of student debt creates a barrier to study, and puts off other life opportunities, like owning your own home? Rt Hon JOHN KEY: I think the term “forcing” people is incorrect. Actually, people do take student loans and they take them because they know that if they have an undergraduate degree they will earn 46 percent more, on average, after 5 years. That is a very sensible investment. Andrew Little: Does he agree with the New Zealand Herald and the Dominion Post that supporting the Kiwi Dream by investing in free education is a better use of taxpayers’ money than his plan to borrow for tax cuts? Rt Hon JOHN KEY: Firstly, I would not jump to conclusions on what policies National will or will not be implementing. You have to wait for those. But I think putting more money into student loans, at a time when 70 to 80 percent is already paid for by taxpayers, when you would be essentially asking lower-paid New Zealanders to cross-subsidise people who will be earning more, does not seem to make a lot of sense to me. Andrew Little: Will he come with me this afternoon, hand in hand if necessary, to Massey University and explain why he wants to give tax cuts for the wealthy, instead of reducing the $15 billion student loan burden? Rt Hon JOHN KEY: Well, if the member will come on TV tonight and say that he is going to vote for the new New Zealand flag, I will come hand in hand with him to Massey University, sure. Mr SPEAKER: —[Interruption] Order! Order! Hon Annette King: That was pathetic. Mr SPEAKER: Order! When I am on my feet, the Hon Annette King should not continue to interject. Andrew Little: Is the reality of the situation not this: that his state of the nation reheated policy was just a reheat and a flop, and Labour’s fees-free policy has drawn praise from across the land? Mr SPEAKER: Order!—[Interruption] Order! The answer is quite long enough. Andrew Little: Given the public’s support for Labour’s fees-free plan, which is presently running at 2 to 1, will he just level with me for a moment? When can we expect him to adopt this as National’s policy, given his adoption of other policies he hated, like KiwiSaver, interest-free student loans, Working for Families? Grant Robertson: You hated it, though. Rt Hon JOHN KEY: Well, I thought there were some real issues with it, but, actually, here is the point: Mr Joyce has dramatically improved that, because under Labour student debt grew at 11.6 percent. Under National, it grows at 4.2 percent and is predicted to be at 2.8 percent. We are very happy with our policies and they are working well, thank you very much. 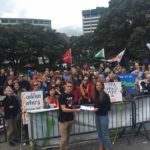 Andrew Little: When will he just admit what everybody else knows, that Labour’s vision for free education in the 21st century is in every Kiwi’s best interests? Rt Hon JOHN KEY: I do not think it is in every Kiwi’s best interests if you are asking a lower-paid New Zealander to pay more of their taxes to someone who is going to earn a lot more. I think the balance is set about right, and I think most New Zealanders can see that, yes, it is worth investing in our people for tertiary education, but when we are paying 70 to 80 percent of the bill, it is about right. 3. MATT DOOCEY (National—Waimakariri) to the Minister of Finance: What reports has he received showing the New Zealand economy is strengthening and exports are diversifying despite uncertainty in the global economic outlook? Hon BILL ENGLISH (Minister of Finance): Today the New Zealand Institute of Economic Research released its quarterly predictions. It says the New Zealand economy is picking up after a softer first half of 2015 led by increases in construction, tourism, and population growth, and these point to a reasonably strong finish to the 2015 year. The New Zealand Institute of Economic Research says that the foundation for sustained growth in New Zealand remains intact. It forecasts an additional 193,000 jobs to be added to the economy over the next 4 years, which is higher than the Treasury forecast for new jobs, and moderate growth of around 2.5 percent through to 2020. Matt Doocey: How is increasing export diversification helping to support resilience in the New Zealand economy? Hon BILL ENGLISH: There are export figures out today showing that despite the drop in the value of dairy exports, New Zealand’s total exports have increased recently. Tourism is now New Zealand’s largest earner, with a record 3 million visitors achieved for the first time in the last year. Annual beef exports are now $3.3 billion, up a third in the last year, and will be assisted further by the Trans-Pacific Partnership (TPP) trade agreement. International education now earns $2.8 billion, supporting over 30,000 jobs. Wine exports are now worth $1.5 billion, up 14 percent in the last year. The ICT sector has achieved 9 percent growth per annum. In addition to this, the ANZ Regional Trends survey shows rising or steady economic activity in all 14 regions. Matt Doocey: How is the Government’s commitment to trade through the TPP expected to support further export diversification, resilience, and growth? Hon BILL ENGLISH: If you support diversification of the New Zealand economy, that will certainly be assisted by a wide range of options for countries to sell our goods to. The TPP accesses up to 800 million consumers, who represent 36 percent of the global economy. At current trade volumes it will deliver $274 million a year in tariff savings, and we believe that over time this will prove to be a conservative estimate. But if you support diversification of the New Zealand economy you must back that up with support for more trade agreements, so we get access to more markets for more products. Matt Doocey: What additional steps is the Government taking as part of its fiscal and economic plan to support growth, jobs, and higher wages for New Zealanders? Hon BILL ENGLISH: The forecasts I referred to earlier reinforce the other forecasts from Treasury that were on a moderate growth track of around 2.5 percent per year through to 2020, with the creation of somewhere around 170,000 new jobs. Real wages continue to rise, and the Government will continue with its programme of microeconomic reform, including over the next year or two focusing on the proper regulation of the housing market, continuing to improve our fiscal management and productivity of Government services, and sorting out issues related to the intensification of agriculture and fresh water. Dr David Clark: Can he confirm that figures released by his Government today show trade with China to the December quarter was the lowest in 2 years, and that dairy trade overall is at its lowest level in 3 years? Dr David Clark: What? Why? Hon BILL ENGLISH: Well, total trade is up $1.9 billion for the year, and trade to China is down. That surely indicates progress against the criticism that we are too dependent on China and on dairy. In fact, other export industries are growing robustly. Mr SPEAKER: Order! Would the member start again, without the interruptions coming from my right-hand side. 4. GRANT ROBERTSON (Labour—Wellington Central) to the Minister of Revenue: When was he first advised that employers owed $29.3 million in contributions to KiwiSaver accounts, and what action has he taken in response to this? Hon MICHAEL WOODHOUSE (Minister of Revenue): The statistics on contributions to KiwiSaver accounts are published and tabled in this Parliament each year as part of the Inland Revenue Department’s (IRD) annual report. When employers do not pass on the deductions they are required to, the IRD will take action if it is unable to resolve the situation and to implement a repayment plan. Dr David Clark: Is he going to answer the question? Mr SPEAKER: Supplementary question, Grant Robertson—does the member want to raise a point of order? Grant Robertson: No, because there is not really any point. Is it correct that 46,154 employees have not received the required employer contributions to their KiwiSaver accounts since the scheme began? Grant Robertson: Oh, hang on, you just said it was tabled in the House. Hon MICHAEL WOODHOUSE: Well, those figures were not in the IRD’s annual report. What I would say is that that does not constitute the overall loss by those, and the high-level maths on that suggests that the average amount owed to those employees by that loss is about $229—irksome, but not dramatic. Grant Robertson: So is he saying, by that answer, that because it may be $229 for one person or $2,000 for another that it does not matter and that he cannot be bothered following up with the department to find out whether it is 46,000 New Zealanders not getting what they deserve? Grant Robertson: Is he satisfied with the department’s work to follow up the nearly $10 million of employer contributions that KiwiSaver account holders are owed, given statements by tax consultant Terry Baucher that the department is too slow to act in these cases? Hon MICHAEL WOODHOUSE: Yes, I am. 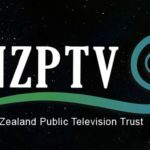 That $10.68 million the member refers to has been accrued since the scheme began in 2007, and represents 0.06 percent of the total contributions to KiwiSaver. So although it is extremely concerning for those people who are affected by the non-payment of those funds by their employers, I am satisfied that the IRD has a very speedy and effective process for ensuring compliance by employers. Grant Robertson: Is he so out of touch with the lives of ordinary New Zealanders that he does not think that 46,000 people not getting what they deserve from KiwiSaver is something he should care about as a Minister? Grant Robertson: No, they’re not. I know. I’m not asking you about that. Hon MICHAEL WOODHOUSE: —the employee contributions, which are Government guaranteed, are passed on—and that where employer contributions are not deducted, they are chased up. I think we are very effective at that, and the evidence of that is the 99.9994 percent collection rate that the department is successful at. Grant Robertson: Can he confirm to this House that employer contributions are not guaranteed, and what action will he take on behalf of the 46,000 New Zealanders who have not had money paid into their KiwiSaver account that they are meant to get? Hon MICHAEL WOODHOUSE: I can certainly confirm that the framework that was established by the previous Labour Government under Dr Michael Cullen, where employer contributions were not guaranteed, has not changed. I am also very satisfied that the Inland Revenue Department has extremely good processes for ensuring compliance with the deductions. 5. FLETCHER TABUTEAU (NZ First) to the Associate Minister for Primary Industries: What is the Government doing to increase log processing in New Zealand to maximise wealth for the regions that produce them? Mr SPEAKER: Order! The Minister is taking too long to say it. Fletcher Tabuteau: Why is she allowing foreign corporates to buy up large regional forests, such as Northland, Southland, Taranaki, and Rotorua, which are then exporting two-thirds of logs directly overseas, bypassing local New Zealand sawmills and processors? Mr SPEAKER: In so far as there is ministerial responsibility, the Hon Jo Goodhew. Mr SPEAKER: Order! [Interruption] Order! The answers have to be shorter than the Minister is giving. Fletcher Tabuteau: If she does not agree with me, does she agree with Dr Jon Tanner, Chief Executive of the Wood Processors and Manufacturers Association, that the current trend is threatening the longevity of the wood processing sector; if not, why not? Fletcher Tabuteau: Has she even considered options such as those in Canada that require logs to be supplied first to local processors and that the best logs cannot be exported; if not, why not? Hon JO GOODHEW: It will not surprise this side of the House that we are not market interventionists trying to screw the scrum. We are enabling businesses to get on and do what they do best. So while the engineered timber frameworks in New Zealand are being developed, we will use the best logs and get the best possible price back to New Zealand’s economy, instead of trying to advantage one part of the sector over another. Fletcher Tabuteau: Would she concede, or does she agree, that New Zealand wood processors—or, in fact, the whole New Zealand economy—are missing out as foreign corporates take the value and the wealth of unprocessed New Zealand timber directly overseas? Hon JO GOODHEW: I do not accept the premise of the member’s statement. Fletcher Tabuteau: What will she do to ensure foreign corporates from Canada, Malaysia, Japan, China, and America work first with our local wood processors, or is she willing to see regional industry go bust? Hon JO GOODHEW: This Government is focusing many, many actions on regional economies—for instance, I will give examples from up in Northland. These examples show that we are analysing the wood availability and the processing capacity up in Northland currently. What that will mean is more jobs for the people of Northland. That is but one example. However, we understand that this country also needs foreign investment, and the member would do well not to forget the jobs that have been created by foreign investment. 6. MELISSA LEE (National) to the Minister for Tertiary Education, Skills and Employment: What progress is being made to train more of the skilled graduates needed by New Zealand’s growing ICT industry? Hon STEVEN JOYCE (Minister for Tertiary Education, Skills and Employment): Last week I opened the Auckland ICT graduate school at Auckland University—it is a collaboration between the University of Auckland and Waikato—which will develop postgraduate students with the skills that the fast-growing ICT industry needs. The school is part of the Government’s $28.6 million commitment over 4 years to establish three ICT graduate schools around the country, which, when they are fully established, are expected to train more than 350 additional students annually, in 1-year graduate and postgraduate courses. Melissa Lee: How will the schools meet the specific needs of the ICT industry? Hon STEVEN JOYCE: The schools are designed to deliver industry-focused education by having close links with the industry, drawing on the expertise from companies in the sector, and from a number of ICT specialities. This benefits the companies by training graduates with work-relevant and business-focused skills, providing more direct pathways from education into jobs, and helping grow New Zealand’s overall ICT talent. Students get a real world view, and the opportunity to build connections with the industry while they are studying. Melissa Lee: Why is there a need for the ICT graduate school? Hon STEVEN JOYCE: The most recent ICT sector report shows that our IT services and software industry is still rapidly growing. The number of people employed in the sector was up 2,800 in just one year. Exports from the sector have also grown to nearly a billion dollars in 2014, and the compound annual growth rate is around 14 percent. The sector needs skilled staff to maintain growth, while the number of ICT graduates per year at Bachelor’s level or higher has been rising by over 400 since 2010. These schools will help deliver more graduates more quickly to help continued growth in the sector. 7. JACINDA ARDERN (Labour) to the Minister of Justice: Is she satisfied with all of the outcomes of her predecessor’s family law reforms? Hon AMY ADAMS (Minister of Justice): It is my view that the family law reforms have had a positive impact on the Family Court. The reforms were designed to help people resolve their disputes outside the court, where possible, saving them and their children from being dragged through court proceedings and freeing up court time for the cases that really need it. Early indication is that it is doing exactly that, with more than 50 percent of eligible cases completing family dispute resolution, and 85 percent of those being able to resolve some or all matters between them. That being said, as with all new systems, we have already made—and we will no doubt continue to make—refinements to the system. Jacinda Ardern: Was it her Government’s intention that, as the Principal Family Court Judge pointed out this morning, an “astounding” 86 percent of claimants are seeking urgent hearings, up from 50 percent, because her predecessor’s reforms mean this is the only way they get legal representation and avoid massive delays. Hon AMY ADAMS: First of all, my officials advise me that the figure is, in fact, 67 percent of applications are being made without notice. But, in actual fact, the requirement to be able to apply without notice is an important safeguard. What really matters is which cases proceed without notice, and I trust our judges to apply that and I am very confident that the cases that are proceeding without notice are those that really need it. Jacinda Ardern: Does she agree with claims that her Government’s reforms have led to an unfair, two-tiered system, where families with money access a lawyer and “can get all the assistance [they] need” and the rest are left struggling with just an advice service and self-representation? Hon AMY ADAMS: No, I do not, because as the member has just pointed out, the reforms remove lawyers from the process for everyone, except where they are absolutely necessary, and where they are, the family legal advice service is available and legal aid is available. But the whole point is that, in the main, these are disputes around how to care for a couple’s children—they are not legal issues; they are human and relationship issues—and keeping lawyers out and allowing parties to resolve matters for themselves has been internationally proven to give better, more resilient results. Jacinda Ardern: Does she share the concerns expressed by the Principal Family Court Judge, whom she says she trusts, that these reforms have led to people with unresolved disputes walking away and that “we are talking about thousands of people.”, when she dismissed these very same concerns at select committee last year? Hon AMY ADAMS: I do not believe it is leading people to walk away. I believe there are a lot of people who manage to resolve their own issues. In fact, the reforms have helped people to get Parenting through Separation advice and to resolve their disputes through mediation, and so a lot fewer need to go to court, which is exactly what we want. What we are finding is that the cases that end up in court are those that absolutely need to be there. When they get to court, if they need legal advice, if they need lawyers in court, the judges are very free to make that order. Jacinda Ardern: Will she commit to bringing forward the formal evaluation of her predecessor’s reforms, which is not scheduled to happen till 2017, and fix this mess, given the systemic issues that have been raised now by judges and the impact that it is having on families and the lives of children? Hon AMY ADAMS: As I said in the answer to the primary question, all of the information tells us that it is working and is having a very positive effect. It is not going to resolve every issue. The evaluation will take place, but we have to have the right amount of data. They are already doing initial evaluations, but, as you say, the full evaluation will take place next year. But, actually, there is every indication that far more people are now resolving their cases themselves directly, without the aid of lawyers, more quickly, and in a more resilient way. I think that is a good thing. 8. ALFRED NGARO (National) to the Minister for Social Housing: What announcements has she made about increasing emergency housing places in Auckland? Hon PAULA BENNETT (Minister for Social Housing): Today I announced that the Government has signed a contract with Emerge Aotearoa, a community housing organisation that will provide 30 new emergency housing places in Auckland that will be able to house at least an extra 120 people each year. The service will be in place well before winter, with 17 of the new places available from mid-March and the other 13 available in May. The Government has put $2 million towards the project, with Auckland Council contributing a further $500,000. Alfred Ngaro: What will Emerge do to ensure that people have the support to move to housing independence? Hon PAULA BENNETT: As we know, homelessness is a complex issue, and a vital part of the service that Emerge will provide, and that we have contracted for, will be linking people up to other social services, like addiction counselling and education or training. It will also develop a plan to help people move into sustainable housing, and it will continue to provide them with social support so that they can sustain their independence. While in emergency housing, tenants will pay 25 percent of their income to Emerge, to get them used to paying regular rent. Alfred Ngaro: What else is the Government doing to ensure emergency housing is available to those who need it? Hon PAULA BENNETT: The new places in Auckland come on top of our contracts with VisionWest Community Trust and Comcare Trust to provide emergency housing in Christchurch. The Christchurch service has already helped 112 households, 81 of which are now in sustainable accommodation. It is great to be able to roll out a similar model in Auckland. Decisions on a more sustainable long-term emergency housing funding model will be made in the first half of 2016. Darroch Ball: Why was the land at Hobsonville Point not used for State or emergency housing when it was illegally transferred under the Public Works Act specifically for State housing purposes? Hon PAULA BENNETT: I do not know. Darroch Ball: What exactly is the Minister’s definition of “State housing purposes” and where is this definition derived from, given that the National Government has made it clear in all of its official documentation that Hobsonville Point was to be used for State housing purposes? Hon PAULA BENNETT: My own opinion of what that means is irrelevant; it is the legal one that counts. There is a legal definition under the Public Works Act as to what those State housing purposes—and, actually, under the Residential Tenancies Act; I think that has it as well. Mr SPEAKER: Order! [Interruption] Order! Can I just ask the member to start again. There are a couple of quite important words that she has missed out as she has read the question. CATHERINE DELAHUNTY: OK. I have got a blocked ear, and I cannot hear very well. Mr SPEAKER: Just read the question again, please. 9. CATHERINE DELAHUNTY (Green) to the Minister for the Environment: Does he agree with his Government’s reported comments that it is unrealistic for New Zealand’s rivers to be swimmable all the time, and does he think that represents an acceptable and aspirational vision for New Zealand’s waterways? Hon Dr NICK SMITH (Minister for the Environment): The Government is committed to improving water quality and the swimmability of our rivers, but a legal requirement on councils for all rivers to be swimmable all of the time is unrealistic. It is unrealistic because nearly all of our rivers, even those in pristine national parks, breach World Health Organization swimming guidelines during flood events. My family and I are regular swimmers, but we do not expect to swim in the Matai or the Pelorus or Lee Rivers when in wild floods. It is also unrealistic because some rivers are naturally unswimmable in volcanic areas, and others are unswimmable from contamination from bird colonies. We are a Government of practical and not purist environmentalists. Catherine Delahunty: What is the point of all his freshwater initiatives if the standards are so weak that no river has to be swimmable, but only safe for wading or boating? Hon Dr NICK SMITH: That is exactly not what the national standard said. What the national standard says is, regardless of where the river is, that is the bottom-line standard, and then regional councils have the opportunity to determine what the appropriate standards in different areas are. I point out, for instance, that our most polluted water bodies are in a city like Auckland. A single stream in Auckland, if we were to impose the swimmability standard, would cost about $150 million, despite the fact that nobody has ever swum in that particular river ever, and I am not sure that that sort of imposition on the ratepayer is sensible and practical. We are about improving water standards, we are about improving swimmability, but we are not into pure bottom lines that will not work for New Zealand. Nuk Korako: Kia ora, e te Mana Whakawā. What is the Government doing to ensure there is greater disclosure and better information on the swimmability of our lakes and rivers? Hon Dr NICK SMITH: The Government is committed to improving the swimmability of our rivers and lakes, and part of this is improving the quality of the information that is disclosed by our regional councils. One of the problems we have at the moment is that some regional councils measure water quality only in areas where it is a problem, and that leads to parties like the Greens grabbing those and pretending they are representative. Other areas actually measure water quality in those areas where there are not problems. The new Environmental Reporting Act is actually going to require a consistency of that information, and that will enable us to have better information and put pressure on those councils that are not performing. What we have also done is funded the Land, Air Water Aotearoa website. What that does is it provides up-to-date information all the time about those lakes and rivers that are swimmable, so that we also put pressure on communities to get on and clean up their rivers. Catherine Delahunty: When he said that some rivers were unsafe for swimming in the pre-human era, how does that justify his Government’s current weak water standard? Mr SPEAKER: Order! I thank the Minister for his answer. Catherine Delahunty: As a swimmer who says he “will be taking my family to swim in wonderful water bodies like the Lee River”, what does he say to those whose local rivers are not swimmable? Hon Dr NICK SMITH: Yes, it is true that I regularly take my family for swims in rivers, and have done so for more than 20 years in Nelson, and I would also draw that member’s attention to all of those favourite water bodies in Nelson that have not seen any decline in water standards over that era. It is not heavily reported because there are no problems. What I would challenge the Greens about is that rather than quoting just water quality standards in those areas where it is measured and where there are problems, they are actually honest with New Zealanders about the fact that the vast bulk of our lakes and rivers have ample spots where Kiwis can get out and enjoy a swim. Mr SPEAKER: Order! Can I have the point of order, please. Catherine Delahunty: —I asked the Minister what he says to people whose local rivers are not swimmable. He did not answer; he told us a lot about Nelson. Mr SPEAKER: I invite the member to go back and look more carefully at her question. That was not the question. It was talking about swimming in the Lee River, etc. As far as I am concerned the question has been addressed by the Minister. 10. DAVID SEYMOUR (Leader—ACT) to the Minister for State Owned Enterprises: What has been the return on equity for Landcorp over the past 3 years? Mr SPEAKER: Is there a Minister going to answer this question? [Interruption] Order! Hon BILL ENGLISH (Minister of Finance)on behalf of the Minister for State Owned Enterprises: There are a number of ways to measure Landcorp’s performance. The return on equity, excluding non-cash fair value adjustments, averaged 0.9 percent over the last 3 years. David Seymour: How much lower is that return than the Government’s cost of borrowing at 2.25 percent for Government bonds? Hon BILL ENGLISH: It is significantly lower than the Government’s cost of borrowing when you look at the straight return on equity. Another measure, the total shareholder return, which takes into account, essentially, inflation and land values shows that Landcorp has averaged 4.6 percent over the last 5 years. So if you take into account the increase in the value of its assets, which may or may not be sustainable, it has a return slightly higher than the cost of debt. David Seymour: How much lower is even that return than the Government’s return from the New Zealand Superannuation Fund over the last 3 years at 12.25 percent per annum? Hon BILL ENGLISH: If the member is making the point that Landcorp, with a value of well over a billion dollars, is making low returns, they are certainly lower than the New Zealand Superannuation Fund returns have been, and they are likely to drop. Landcorp is one of New Zealand’s largest dairy farmers, and as dairy prices have dropped considerably in the last 12 months or so we would expect that Landcorp is probably going to make negative returns in at least the next year. The New Zealand Superannuation Fund may also be heading towards making negative returns. Its high return figures quoted here have been based on an increase in asset values. They have extensive investment in world stock markets, and those stock markets have not been doing so well since the beginning of this year. Richard Prosser: Will the Minister guarantee that his Government will not sell Landcorp in whole or in part? Hon BILL ENGLISH: The Government has made it clear it will not sell Landcorp, but it does buy and sell farms all the time. In fact, you would expect that in current conditions, where it is making significant losses and is facing the normal commercial risks that every other farmer is facing, and where it has debt levels it needs to deal with, it may well sell some farms. David Seymour: How do the returns from Landcorp compare with those from another State-owned enterprise, Air New Zealand? Hon BILL ENGLISH: Air New Zealand is technically not a State-owned enterprise; it is only half-owned by the Government. At the moment it is making very significant returns, for a number of reasons. One is that fuel prices are very low; secondly, it seems to be making good commercial decisions; and, thirdly, it has the benefit of the Greens, who are against carbon dioxide emissions but are spending so much time on our planes. 11. MEKA WHAITIRI (Labour—Ikaroa-Rāwhiti) to the Minister for Māori Development: Does he believe the recent consultation hui on Te Ture Whenua Māori Reform has given him a mandate for land reform; if so, why? Hon TE URUROA FLAVELL (Minister for Māori Development): Kia ora tātau katoa. Kia whai wāhi au ki a Ranginui, e takoto mai rā i Ōrākei, kei te tuatahi. E koro, takoto mai! [Acknowledgments to you all. I take an opportunity, in the first instance, to acknowledge Dr Ranginui, lying in state there at Ōrākei. Lie there, grand old one.] In response to the question, there is broad support for the land reform that comes not only from recent hui but also from the extensive consultation that has taken place over a period of 17 years. I for one am not prepared to stand by and wait another generation while too many Māori landowners are constrained by unfair and inequitable law. Meka Whaitiri: Can he confirm that te ture whenua Māori will allow freehold Māori land to be reclassified as general land and then sold off to the highest bidder? Hon TE URUROA FLAVELL: The member will have to wait until it arrives in Parliament, but that is not the intent. Meka Whaitiri: Will he ignore Māori landowners, the New Zealand Māori Council, iwi leaders, and the Māori Women’s Welfare League, who have rejected his changes, which will lead to the loss of land for future generations for Māori? Hon TE URUROA FLAVELL: I can say that at Waitangi actually the iwi leaders were quite supportive of the programme that we are running, and in fact we have some letters of support already that have come in the door. 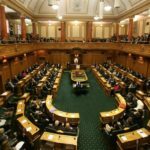 In terms of the consultation that we have run, we can say that we have been working very hard to have landowners engaged, and indeed iwi leaders, the Māori Women’s Welfare League, and the New Zealand Māori Council have been involved in the discussion about the bill and workshops during this year. Is it a hard process? Absolutely. We have taken the unusual step of releasing two drafts. We have taken the unusual step of having, or counting up, at least, 121 hui since 1998 on these reforms. Most of those have been in the last 3 years, and just in case there is any doubt, we have received 666 submissions since 1998. Most of these have been in the last 3 years. There has got to be something in that that tells the member that, actually, there is support for this movement. Mr SPEAKER: If members on my right-hand side wish to stay for the balance of question time—I know there is not more to go—then they will not interject. [Interruption] I will hear the point of order, if there is one. Chris Hipkins: I raise a point of order, Mr Speaker. I just invite you to reflect on the Speaker’s rulings that you have previously made about the Government members using their supplementary questions to ask questions that are simply designed to provide an opportunity for attacking the Opposition, as this one does. The Minister has no responsibility for the actions of the previous Government. Mr SPEAKER: I will hear from the Hon Gerry Brownlee. Hon Gerry Brownlee: It is not at all unreasonable to ask a Minister to make a comparison between processes that could have some degree of controversy. So the question seeks to make controversy out of the superb process that has been run by the Hon Te Ururoa Flavell, and the real point is that it is in stark contrast to a different process used by a previous Government. Mr SPEAKER: I do not need any further assistance from either, and I do not know, because the question has not been answered, as to whether it is in stark contrast or not. Mr Hipkins is right to refer to Speaker’s ruling 174, I think it is, that I will not accept a question if it is designed simply to attack the Opposition parties. But in this case the question, to me, is legitimate in that it is asking how the process being established by the Government compares with a process established by a previous Government. The question is in order. I will be listening very carefully to the answer so that it is informative to the House and not taken as an opportunity to attack an Opposition party. Chris Hipkins: I raise a point of order, Mr Speaker. It is a fresh point of order. Mr SPEAKER: Well, I have ruled on that. If it is a fresh point of order, I am only delighted to hear it. Chris Hipkins: There are other Speakers’ rulings and there are in fact Standing Orders around not including assertions in questions that are being asked. I know that you have been very liberal in your interpretation of that, because those making assertions—then the Ministers have an opportunity to respond to any assertions they disagree with. In this case the assertions being made are being made by a questioner and being answered by a Minister, neither of whom has any role in the assertions being made. So I would ask you to more strictly interpret that part of those Speakers’ rulings if these types of questions are going to be allowed. Mr SPEAKER: No, I do not need any assistance, because I think we are actually just relitigating exactly where I have been. What the question asks, in essence, is how does the current process being established compare with the previous process. That is the essence of the question. That is legitimate. We quite often get questions, particularly to the Minister of Finance, as to how does the current economic trend compare with something under a previous Government, and that is accepted. So the question is in order. We will listen carefully to the answer. I do not want to hear the answer being used simply as an opportunity to attack an Opposition party, in which case, if it is, I will not hesitate to stop the answer. Hon TE URUROA FLAVELL: I outlined earlier the role that we have taken in trying to consult with people across the board. I have talked about hui and I have talked about submissions. We have also made 109 changes to the bill, and as a result of feedback, 28 deletions. As recently as this February we have had a further 21 hui across the country to explain changes. Throughout this time we have engaged with a large number of landowners, trusts, and corporations, both directly and through representative groups. I can say that the process that we have run has been extremely well attended and well done. We have undertaken genuine consultation, with the aim of actually strengthening Māori rights, the rights of the Māori people, over their land and not taking away rights. Meka Whaitiri: When will he come clean with Māori and admit these changes have been driven primarily by the National Party, and the party and its friends are the most likely beneficiaries of Māori land loss? Hon TE URUROA FLAVELL: I will just start by giving one statement from one group that actually represents more than 150 members, and I talk about the Federation of Māori Authorities. I have support from the largest representative grouping of Māori freehold landowners, who will be impacted by the reforms and who support the direction of the reforms. In fact, their spokesperson Liz Mellish acknowledges, as do many other groups, that “The [other] iteration of the draft Ture Whenua bill reflects the changes our members have asked for.” As one of the biggest landowners in the country, the federation is right behind this legislation. That is what counts. The Māori landowners—that is what counts. Mr SPEAKER: Order! I must ask particularly for some cooperation from my presiding officer. Mr SPEAKER: Order! No. We are certainly not going there. Marama Fox: Has the Minister received any reports from landowners in the Ikaroa-Rāwhiti region to support the ture whenua reforms? Hon TE URUROA FLAVELL: That is a great question. I am pleased to advise the member that I have received a number of reports from the Ikaroa-Rāwhiti region supporting the changes that are taking place in te ture whenua, including one just 2 days ago from the chair of Te Aitanga-a-Māhaki Trust, a trust that oversees some 30 land blocks in Gisborne. It is supportive. Marama Fox: What steps has the Minister taken to ensure that tino rangatiratanga and the Treaty of Waitangi remain at the heart of the bill? Hon TE URUROA FLAVELL: That is another excellent question. The purpose and principles of the bill clearly outline that Te Tiriti o Waitangi, tino rangatiratanga, and taonga tuku iho are given greater effect than the current Act. If the House will indulge me for just one moment, I will quote from the English version of the proposed text in the bill, which says: “The purpose of this Act is to recognise and provide for the mana and tino rangatiratanga that since time immemorial Māori have exercised and continue to exercise over their lands, resources and taonga in accordance with tikanga Māori and, consistent with the guarantees given in Māori in Te Tiriti o Waitangi, to protect the rights of owners of Māori land to retain, control, occupy, and develop their land as taonga tuku iho for the benefit of present and future generations of owners, their whānau, and hapu.” If that member supports that sort of notion, hopefully we will look forward to her vote when it comes into the House. 12. IAN McKELVIE (National—Rangitīkei) to the Minister for Primary Industries: How will the Trans-Pacific Partnership support new and emerging primary industries? Hon NATHAN GUY (Minister for Primary Industries): Although the Trans-Pacific Partnership (TPP) is very beneficial to our major exporters, it will also support a range of small and emerging primary industries. Honey exports globally have jumped up to $286 million in 2015, up $84 million on the previous year. The TPP will eliminate tariffs in the US at entry into force and a 22.5 percent tariff into Japan after 8 years. Craft beer production has the potential of following the same success as our wine industry. New Zealand beer exports to TPP countries were worth $29 million in 2015. The TPP will eliminate all tariffs on beer, including the $1.80 per litre tariff into Malaysia and a 23 percent tariff into Viet Nam. The TPP will also remove the 11.2c per kilogram of tariffs imposed on all of our New Zealand avocados currently exported into the USA and eliminate the 3 percent tariff into Japan. This will result in around $400,000 a year in tariff savings for this very promising industry. David Seymour: Will the Minister talk to some of his ministerial colleagues about domestic barriers to the craft beer industry, such as the regulatory burden that led to the cancellation of the New Zealand Beer Festival just last week? Hon NATHAN GUY: Oh, I am always interested to have discussions with my colleagues in Government about the importance of the tariff obligations on the new and emerging beer markets, and any complications that the member does see that are holding back domestic production in the very exciting emerging market of boutique brewing. Ian McKelvie: Why is the Trans-Pacific Partnership (TPP) so important to growth in these new and emerging industries? Hon NATHAN GUY: For emerging industries, tariff barriers can be more prohibitive than for the larger industries. Removing barriers to trade gives exporters an opportunity to grow faster than they otherwise would have. If you have a look at Liberty Brewing Company owner Joseph Wood, he said that the TPP opens a gateway for us exporting over to Asia, and he goes on to say it would help make our pricing more competitive overseas. New Zealand exporters of avocados will now have duty-free access to Mexico with the 20 percent tariff eliminated on entry into force. Although Mexico has not been a previous market for avocados, the TPP now provides a viable new opportunity for them. Dr David Clark: Does he believe that market access equivalent by 2030 to the output of three large dairy farms—that is three farms, not profit but output—is substantial enough to nullify the then Minister of Trade’s threat to walk away if dairy products were excluded? Hon NATHAN GUY: The dairy industry is the biggest sector that benefits from TPP—$102 million that will be removed for the dairy industry, which, right now, they believe is vitally important. I cannot believe that the member’s party will not support the Trans-Pacific Partnership, when every other leader from the Labour Party has. That member should go down to his electorate and hang his head in shame. TTP deal keeps New Zealand in the game…..